alaTest has collected and analyzed 194 reviews of Sony Handycam HDR-XR500. The average rating for this product is 4.5/5, compared to an average rating of 4.1/5 for other Camcorders for all reviews. People really like the size and design. The portability and image quality are also mentioned favorably, whereas some have doubts about the memory and battery. We analyzed user and expert ratings, product age and more factors. 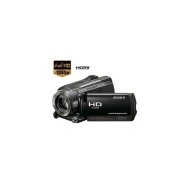 Compared to other Camcorders the Sony Handycam HDR-XR500 is awarded an overall alaScore™ of 85/100 = Very good quality. GPS not consistance, first 2 months was fine and then the picture quality is not very sharp and clear (some kind of smoog effect). For the price offered other brand like Canon has more features and very sharp picture quality. Stunning picture quality. Particularly like the conventional viewfinder in addition to the LCD screen which is impossible to use in bright sunlight on any other camcorder. Good battery life and more disk space than you will ever need. Some functions (such as fade) have to be accessed through the menu system every time you want to use it.